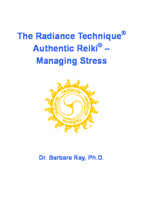 The Radiance Technique®, Authentic Reiki® ! 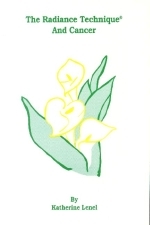 TRTIA has an online store, including books, at TRTIAStore.org. For easy, secure online orders of one or two books, please visit the store directly. If you are interested in a larger quantity, see the NOTE below. PLEASE NOTE: To order any of these books by mail, send your order (including your complete address clearly printed) with a check or money order in U.S. dollars; or write or call TRTIA with your Visa/MasterCard information (card number, expiration date, security code, name of card-holder, and signature if mailing your request). You may also print a credit card charge form and fax or mail it with your order. Please add $7 shipping & handling within the U.S.A. for each book, or $16 for each book sent outside the United States. If you are ordering a number of books or would like to pay using Paypal, please call or send e-mail for the best shipping price. Thank you! We also offer the books in association with Amazon.com. To buy any of these books online, click on the title to order at Amazon.com right now. TRTIA receives a small part of your purchase. This unique book contains valuable information about TRT® and managing stress factors in your life. As an extra bonus, there are numerous fascinating, humorous, profound, deeply touching and varied sharings from TRT® alumni using this technique for managing stress, meditating, reaching deep states of relaxation, for increasing creativity, health benefits, job performance and gaining welcome recovery from fatigue, depression and anxiety, and welcome relief from from the rigors, stresses and strains of modern life. The definitive book written on this science by the world's foremost authority in this field. 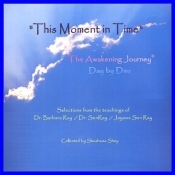 Dr. Ray has brought together sharing of hundreds who have used this technique as well as some profound sharings of her own inner planes knowingness. She writes deeply of the potential for consciousness possible with The Radiance Technique® . The new edition of the invaluable A-Z reference manual, now with more than 800 entries and articles, designed for those who have studied TRT® and for all students pursuing the expansion of their consciousness. Great for daily use with thousands of suggestions for TRT® use. Written specifically for and dedicated to the German-speaking people around the world, with over 240 pages of new sharings and valuable information for the public and students of TRT®. This book contains special chapters by Dr. Barbara Ray and Marvelle Lightfields. It has sharings from the experience of cancer patients, including the author herself, who use TRT® themselves and from those who support others through the use of TRT®. This book embraces the experience of opening to greater physical health and well-being and the experience of using radiant energy in the death and dying process. 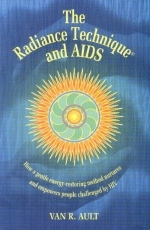 The first-ever book on using TRT® with AIDS. This heartlifting book documents astonishing discoveries by people who have learned how to nurture, balance and empower themselves with TRT® , a gentle self-help method for living in wholeness. A unique self-help guide to The Awakening Journey® and Heart First Journey®! With this special book, you will be able to improve your life, expand your awareness, and support your journey in your daily life. Day by day you will be able to renew your enthusiasm for life! Are you ready to begin now? 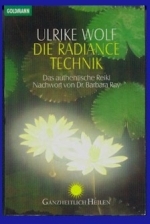 Please note: this book is not about The Radiance Technique®, although students of TRT® can certainly use the technique to support them on an Awakening Journey. All proceeds from the sale of this book go directly to support TRTIA's TRT® Projects. This book contains a special chapter by Dr. Barbara Ray, and is a "how-to" book for sharing TRT® at all degrees with all kinds of animals. It has everyday uses for helping your animals in the home and those you cannot touch. There are chapters on sharing TRT® for crisis situations, supporting health and well-being in everyday life, going through the death and dying process, adopting an animal into your home, serving endangered species and more. These sharings come from all over the world. The Radiance Technique® On The Job, Expanded Edition, by Fred W. Wright, Jr. This book contains a special chapter by Dr. Barbara Ray. It is a compilation of more than 130 sharings from alumni on using TRT® at work, in the home and at the office, or on the construction site or in the courtroom. Professions represented include health-care professionals, teachers and performers. It is filled with radiant tips for everyone! A powerful and genuinely radiant compilation of the experiences of using TRT® to support the process of death and dying with people all over the world and with animals. The author has added special material with permission from the books by Dr. Barbara Ray and Marvelle Lightfields. NOTE: This book is currently out of print. Please e- mail us if you want to be notified when it is reprinted. The first detailed discussion of how hypnosis and the loving touch of transcendental energy actually work together, from an author who has the professional background to use both techniques. 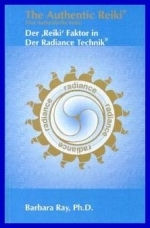 For students of The Radiance Technique®, Authentic Reiki®, The Official Handbook of The Radiance Technique® is available in several languages. Please write for details. 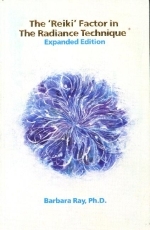 PLEASE NOTE: To order any of these books, mail your order (including your complete address clearly printed) with a check or money order in U.S. dollars; or write or call TRTIA with your Visa/MasterCard information (card number, expiration date, name of card-holder, billing address of card, and signature if mailing your request). You may also print a credit card charge form and fax or mail it with your order. Please add $5 shipping & handling within the U.S.A. for each book, or $8 for each book sent outside the United States. Thank you! Copyright © 1999 - 2015 The Radiance Technique International Association, P.O. Box 40570, St. Petersburg FL 33743-0570. All rights reserved. Last modified 18 June 2015.